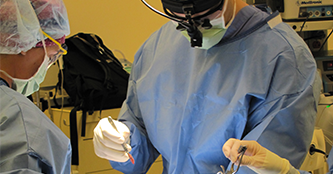 ESI is the most common procedure done in our group. It is simply a technique to get steroid (cortisone) into the spine directly.The steroid is put in a place called the epidural space which surrounds all the nerves and spinal cord. Steroid is an extremely potent anti-inflammatory. The purpose of the steroid is to turn off or turn down any ongoing inflammatory response and reduce pain. The steroid medication is not directed at any one particular nerve or structure. Kind of like hunting with a shotgun.Once put in the epidural space it spreads up/down and side to side. It can be done at any level of the spine. It can be done with or without sedation.